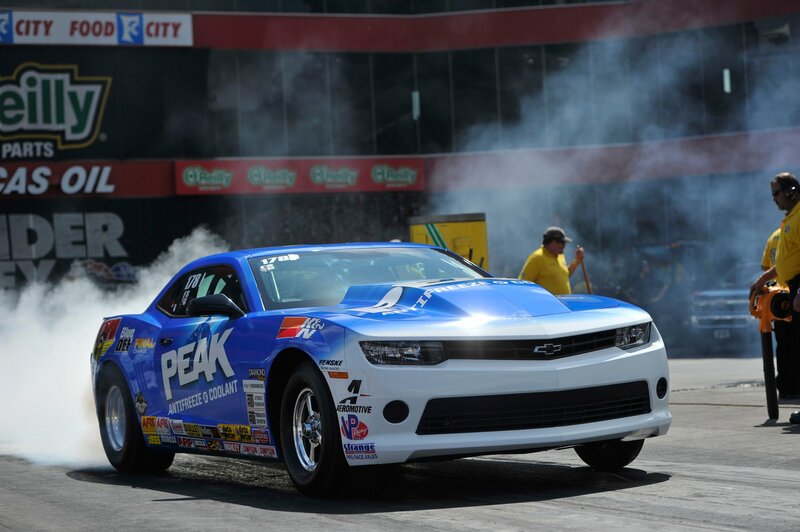 Larry Morgan came out of the gates hot at the Mopar Mile-High Nationals in Denver, CO. Morgan's consistency has put him in championship contention, and he stepped it up another notch this weekend. His qualifying run was good for the #2 spot, his best qualifying effort since 2007. He took an easy first round victory against Joey Grose, who red-lit by 0.001 seconds. In round two, Morgan squared off with Jason Line, who held a 21-8 advantage against Morgan in head-to-head races. Morgan was quicker off of the line and had just enough power to stay in front of Line to secure the holeshot victory, with a margin of victory of just three feet. 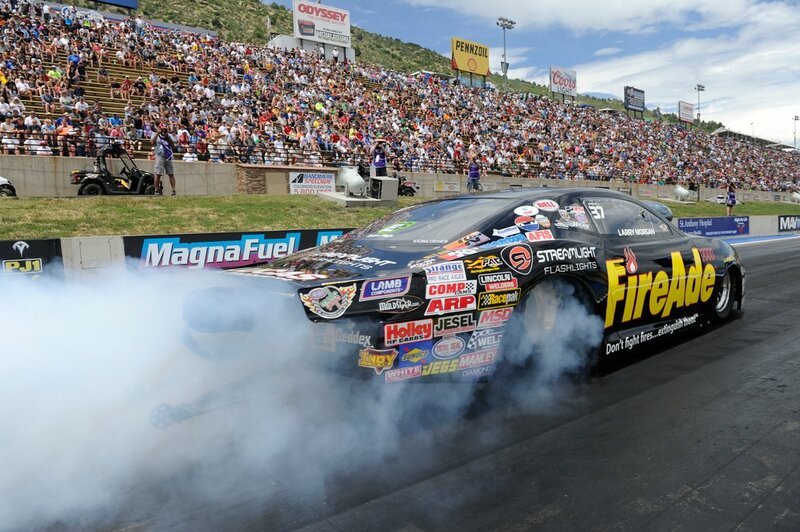 Round three brought another tough competitor in Erica Enders-Stevens. Even though she secured a small starting line advantage, Morgan was able to drive around her and win by a mere three inches! This victory propelled him to the finals where he met Allen Johnson. For the second time, Morgan secured a holeshot victory. Despite having a slower elapsed time, his reaction time advantage was enough to keep him in front of Johnson to secure his second Wally of the year, and the 12th of his career. Morgan was appreciative of Holley's support after the victory, stating "We have been working with Holley for a long time, starting with the Gen 2 Dominators and now with the Gen 3s. The support we have received from the crew at Holley has been phenomenal and has really helped us to step up the performance of the race car. We hope this weekend is just a sign of things to come in the future." 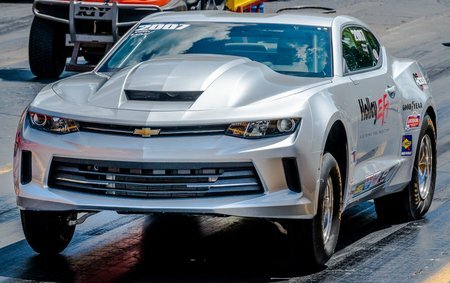 For serious GM drag racers, Chevrolet's COPO Camaro program has given teams the opportunity to purchase a dedicated race car designed for the sole purpose of getting down the 1320' as fast as possible. The COPO was never designed for everyday roads, so there’s little sound deadening, no underbody sealant, and no back seat. Because in a sport where shaving time is everything, there’s nothing better than a head start. COPO is a true racing machine. 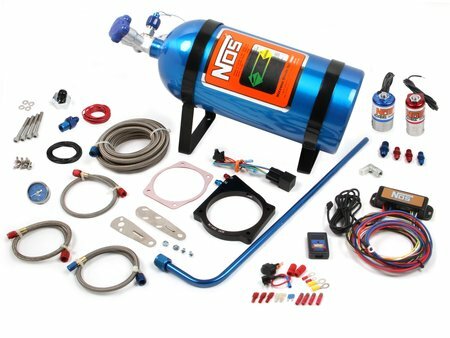 It is specifically offered for off-highway, competitive NHRA use only. It cannot be registered, titled, licensed, or driven on public roads or highways. The COPO Camaro is designed to NHRA racing specifications, including a solid axle and a full chrome-moly roll cage. 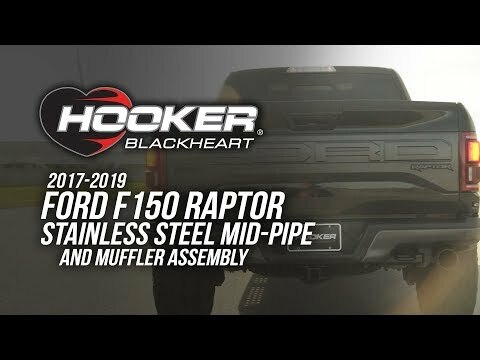 Inside, most of the standard sound-deadening and power accessories have been deleted in order to optimize weight for NHRA racing. 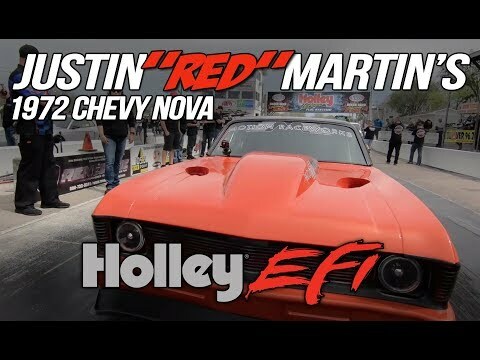 GM put Holley EFI on the task of controlling the engine while naturally aspirated models also sport a Holley Hi-Ram intake manifold. Some models also feature an Earl's transmission cooler. 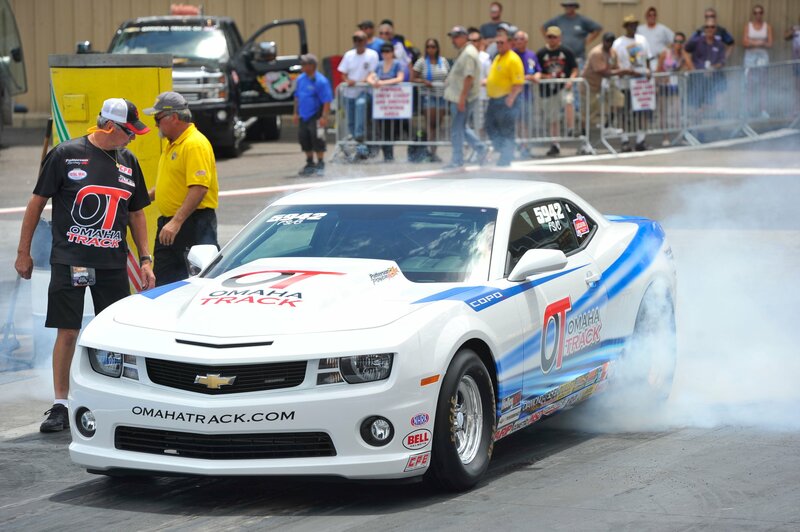 Jeff Strickland qualified 12th out of 64 cars in the NHRA Stock field at the Lucas Oil Route 66 Nationals in Joliet, IL by going 0.883 seconds faster than his index. After making it through the first round, Strickland faced off with Brina Splingaire. Despite Splingaire running slightly closer to his index, Strickland's advantage off the starting line proved to be enough to hold on to the victory. Round three brought a little deja vu as Strickland was outrun again, this time by Austin Williams. Once again, Strickland's great reaction time gave him enough of an advantage to hang on for the win. Round four's story was much the same. This time, Tom Cain fell victim to Strickland's precision on the tree. Strickland's .002 reaction time was his best of the weekend for him, and enough to hold off Cain. In the semi-finals, Strickland scored his first non-holeshot victory of the weekend. In the finals, Strickland nailed the tree again, as well as nailing his index. Britt Cummings broke out in an effort to run him down, handing Strickland his third national event win in stock. Despite a mediocre qualifying effort, the field of 56 Super Stock competitors knew that Dan Fletcher would be a threat at the 15th annual Thunder Valley Nationals in Bristol, TN. After his first round victory, Fletcher squared off with Robert Strane in round 2. His superior reaction time allowed him to run Strane down and grab the victory. Fletcher's round 3 race had almost no drama as Keith Lynch's car nosed over immediately after launching, handing Fletcher an easy win. Round four brought Fletcher another easy win as Jeff Harrington was a little too quick, red-lighting by 0.010 seconds. The semi-finals are close for Fletcher, who is able to edge out Randi Lyn Shipp by 20 inches at the finish line, setting up a finals matchup against Michael Brand. In the finals, Fletcher's starting line advantage is enough to hold off Brand en route to his 92nd national event win. Ryan Montford got into the show at Mopar Mile-High Nationals in Denver, CO with a strong qualifying effort, slotting in at 4th in a 34 car field. After his first round victory, Montford faced Stephen Hagberg and absolutely blitzed him on the tree, recording a perfect reaction time of .000 seconds, which was more than enough to hang on for the victory. Montford brought his chainsaw to round three as well, as he cut down the tree again, this time with a .007 reaction time, helping him earn the victory over Josh Simons. In round four, Dic Geary knew that he would have to take a chance to gain the starting line advantage over Montford. However, the gamble backfired as he redlit, handing Montford the easy win. This win earned him a bye in the semifinals where he went ahead and cut the tree down again with a .004 reaction time just for good measure. This set up a finals showdown with Scott Burton. 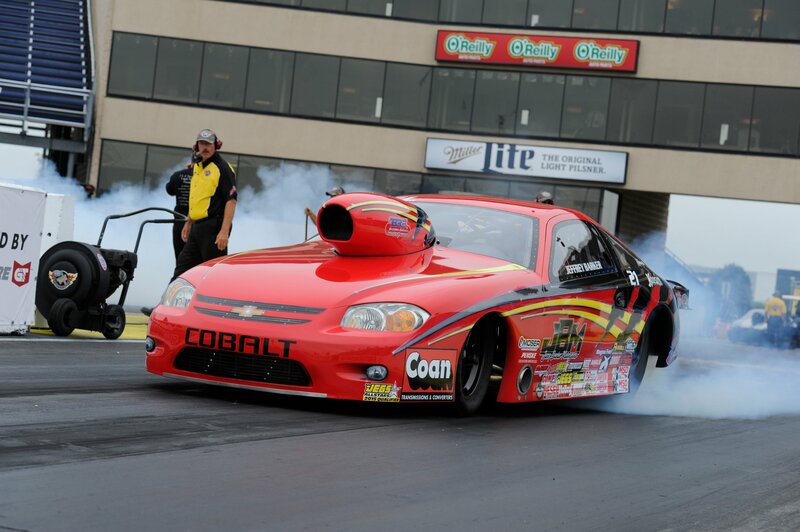 Montford did what he had been doing the whole weekend, as he recorded a .009 reaction time, enabling him to cruise to an easy victory and his first NHRA national event win! 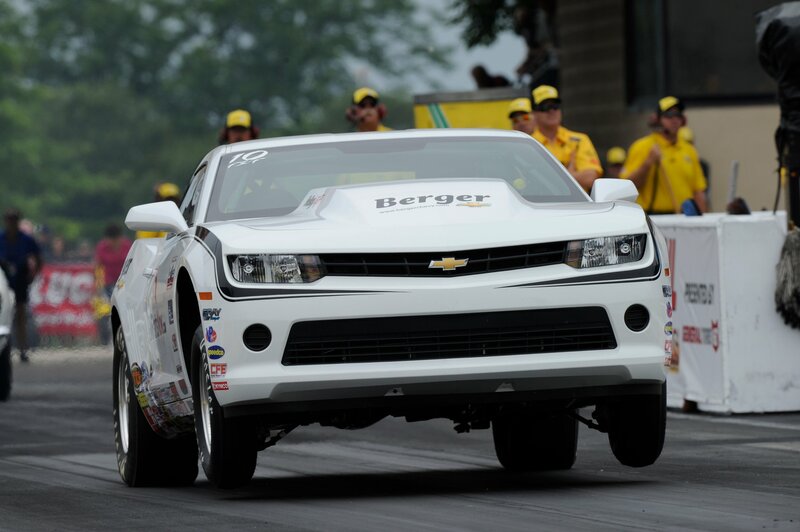 NOS Nitrous helped Jeffrey Barker lead NHRA Division 2 to its seventh Jegs Allstars Team Championship at the Lucas Oil Route 66 Nationals in Joliet, IL. With its seventh victory, Division 2 is now tied for the most wins in the Allstar Team format. This was Barker's second appearance in the Jegs Allstar event, and he defeated Division 3's Lester Johnson to earn the crown for Division 2. The veteran driver is winning events and stacking up class-win trophies with increasing regularity.